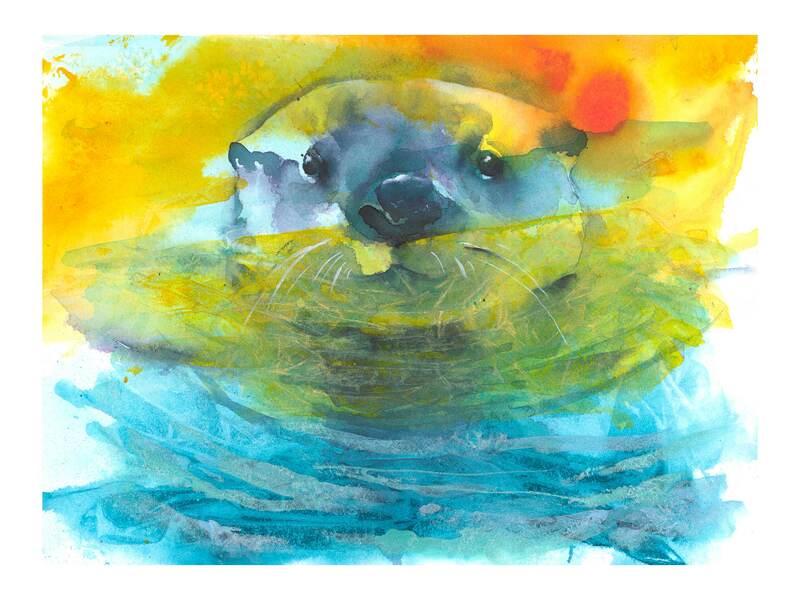 🌅"Otter Sunrise" is an archival fine art giclee print from my original acrylic & ink painting. 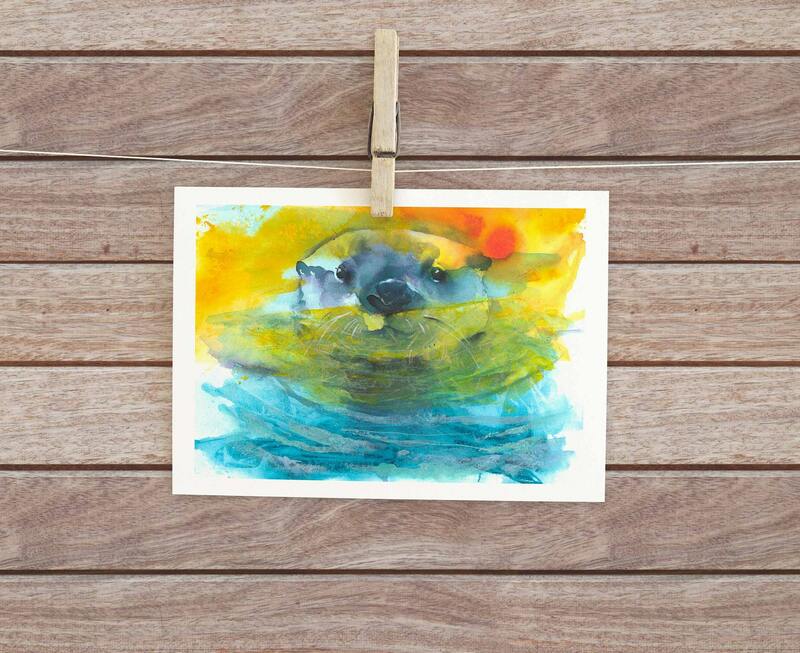 🌊This painting was inspired by the playful otters of Monterey Bay, California. My husband and I love kayaking in this ecologically abundant area. Sea otters are pretty much a guaranteed sighting. It would be hard for me to pick a favorite animal to paint, but otters are up there. 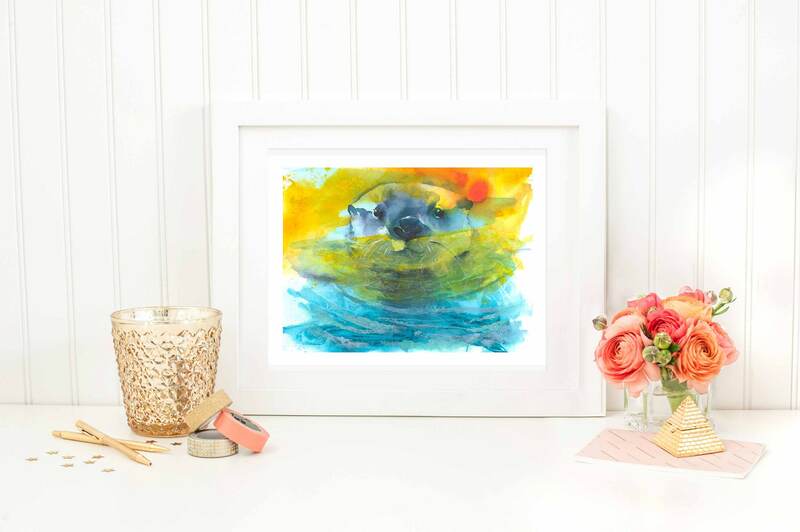 This little guy is ready to bring playful inspiration with a huge dash of color into your life! 💟 8 x 10 comes with a white mat, ready for an 8 x 10 frame (image is 5x7). ✅ 9 x 12, 12 x 16 Prints come UNmatted , unframed with a white border and wrapped in cellophane with sturdy backing board. ✏️Print will come to you hand signed at the bottom & signed & dated on the back. ✳️This giclee print was created to high standards of reproduction with materials tested by the Fine Arts Trade Guild to resist fading and discoloration in excess of seventy-five years. For maximum longevity, this print should not be displayed in direct sunlight. ✳️Please note that the colors on the actual print may vary slightly on a monitor display. 📬Shipped FLAT protected within an acetate sleeve and backing board with 'do not bend' stamp to ensure it reaches you in perfect condition. Larger prints ship SAFELY rolled to prevent bending. ❓💬📧 Please don’t hesitate to contact me with any questions you may have. I’m more than happy to help!